Miami’s offensive philosophy this season is to create a balanced attack in order to keep opposing defenses honest. In general, offensive coordinators typically want a defense to respect both their run and pass games equally. Great offenses like the Alabamas, Oklahomas, Ohio States, and Georgias are able to keep defenses on their toes, simply due to their ability to attack defenses however they want. Second year head coach Mark Richt is bringing that philosophy from Georgia to Miami, and it was a philosophy that was rather successful in the SEC during his head coaching tenure in that conference. 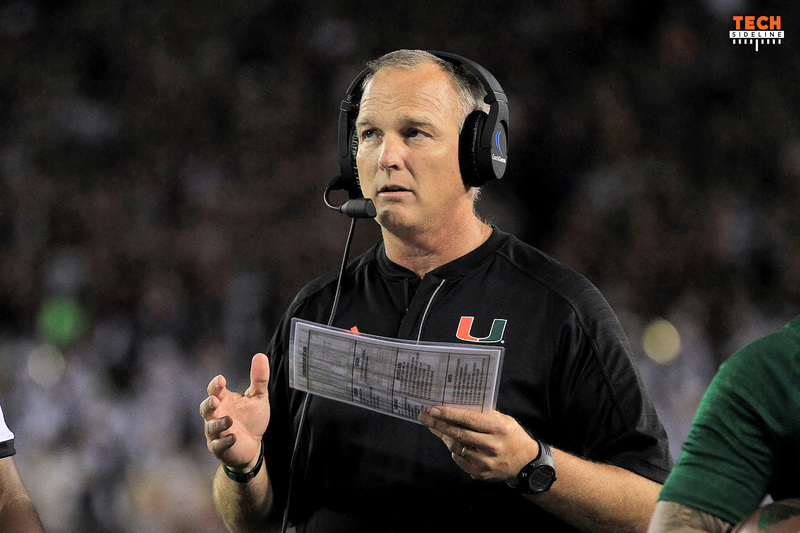 Whether productive or not, the Hurricanes’ offensive staff is dedicated to running the ball. Here’s a chart comparing their rush attempts versus pass attempts so far this season. The magic number seems to be 30 in carries, and it shows how Miami will never abandon the run. That became evident last week against North Carolina, when the offense only gained 59 yards total on the ground, yet they continued to hand the ball off to their backs. The most lopsided ratio was in a near loss at Florida State, when they needed a last minute miracle pass to win the game.